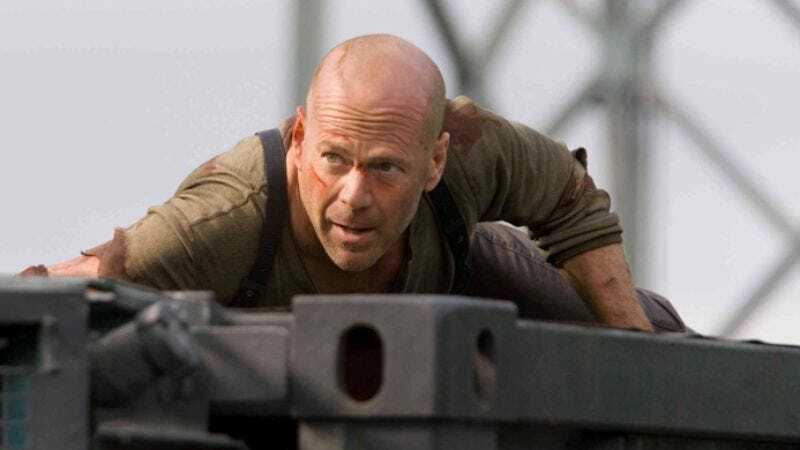 Elder rage action franchise Die Hard has encountered an unexpected hiccup in production by losing director Noam Murro, the Smart People filmmaker who used the unlikely bona fides accorded by the blockbuster he didn’t actually make yet to leverage his way into getting another sequel, 300: Battle Of Artemisia. But the studio is pressing forward anyway with a new, hastily assembled short list of people they’d like to see pushing Bruce Willis in front of fireballs. According to Deadline, the leading contenders include Fast Five’s Justin Lin and Drive’s Nicolas Winding Refn, whose names have begun appearing so often on lists of this nature, they’re like the ringers thrust into police lineups, so probably don’t pay any attention to them.